For all you non-moms, sorry this post might be boring:) I have had several people email me asking ideas for kids week night meals. 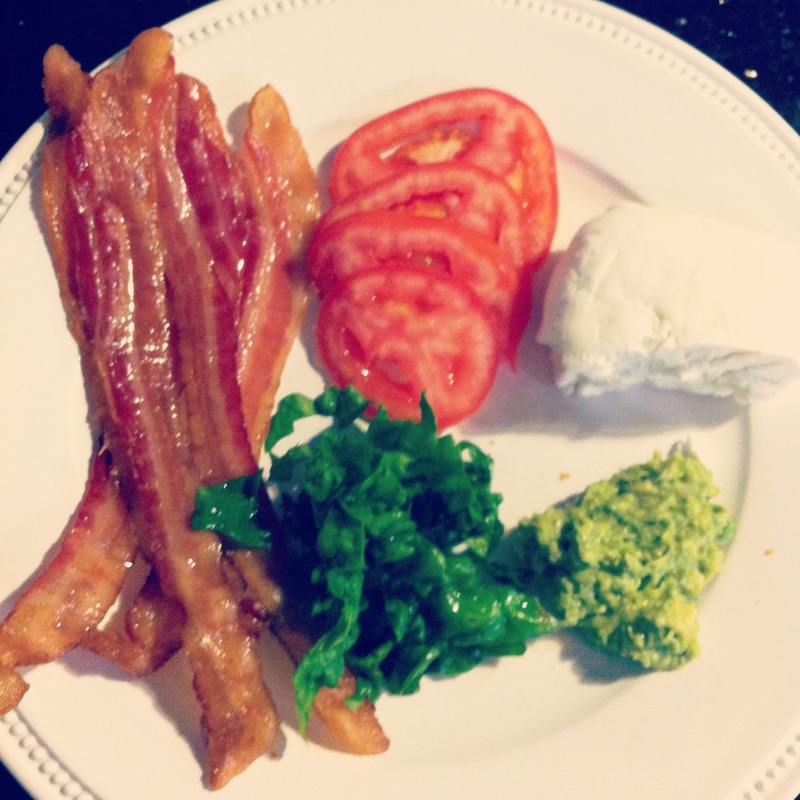 Wondering if Sterling always eats the recipes I post. The reality is, no. My husband works most nights til 7:30 so he and I usually don't eat til 8 or 9. 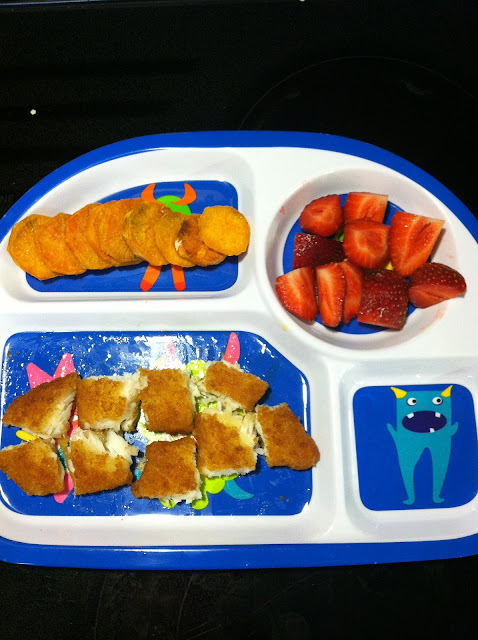 Sterling eats dinner around 6 so I usually prepare him something different from what Matt and I are eating for dinner. I know you are probably thinking wow, that is alot of effort to cook two meals every night. But it really is not, I have a few go-to, easy meals for Sterling that I keep on rotation. I definitely buy frozen food that is easy to heat up at night- but I am picky about what frozen foods I buy him. 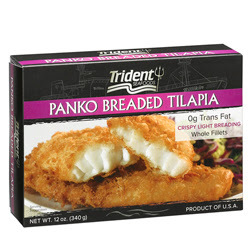 I highly recommend this frozen fish, Trident Panko Breaded Tilapia. I am weirded out by all the fish sticks and fish where it says it is made with "minced white fish", I mean what kind of fish is even in there? I always think would I eat this when I am feeding Sterling. I have tasted this fish and it is good and not terribly processed. I usually serve it with ketchup for him to dip it in and he loves it. As for the sweet potatoes I slice them in round circles and roast them in Olive Oil, I tell Sterling they are "chips" and he eats them:) It is all about deception sometimes. My little man has some serious vegetarian tendencies, probably because I do too! 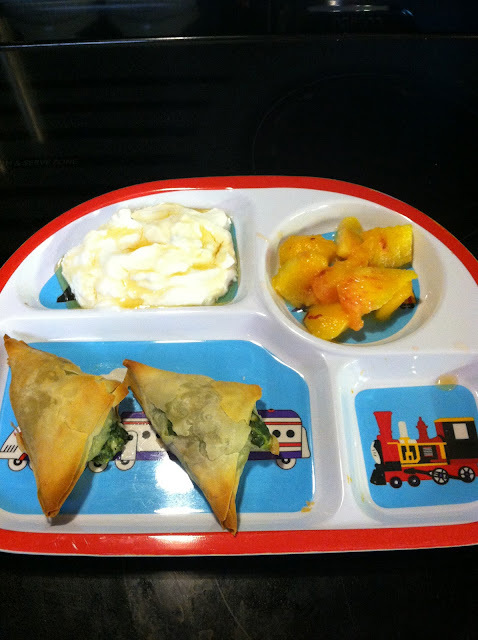 Anyways he loves Spanakopita and I feel like at least he is getting a green vegetable because normally he won't eat one. 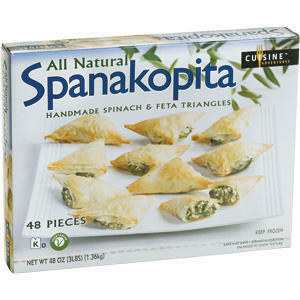 I buy the Spanakopita in the frozen section at Costco. It is super easy to just pop in the oven and cook. He adores Greek yogurt which I feel at least gives him some protein. 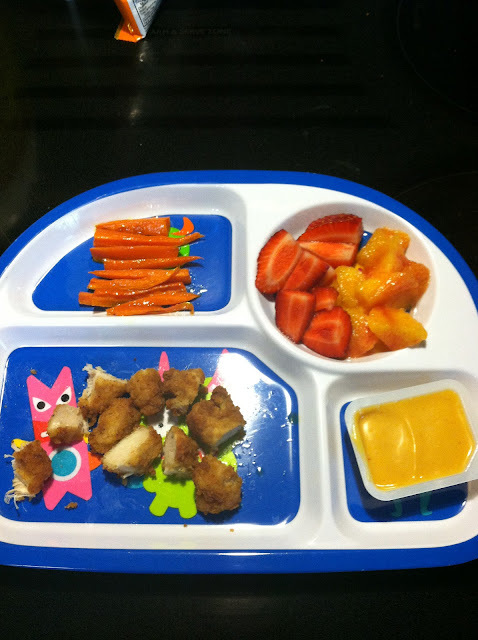 This day we ate lunch at Chick-fila and had leftover nuggets so I just reheated them for dinner. 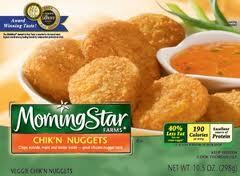 If I am buying chicken nuggets I like the Morining Star brand- yes I know they are not real chicken but after watching Food Inc you better believe I am not buying Tyson nuggets. I will sometimes buy the organic brands of chicken nuggets as well. The carrots I cut to look like french fries in an attempt to trick Sterling into eating them, and it worked. I just slice them into strips and roast in olive oil until tender. I always save extra sauce when we eat at Chick-fila to use at home:) My man is sauce lover like his momma. So I feel like I should tell you Sterling hated the Zucchini. He put it in his mouth spit it out and said "Sterling no eat." I keep trying to sneak in green veggies but my little man ain't buying it. 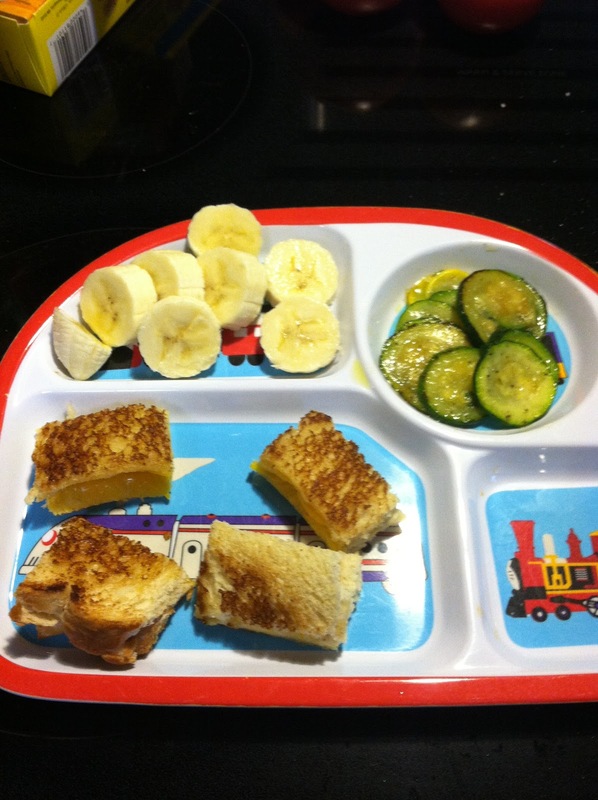 Grilled cheese and bananas are always a hit though. It doesn't come in black but it comes in six different colors. I love the brown. Honestly thinking about ordering one of these, they look super cute. This is the same brand as my dress little different style. I hope everyone had a great Memorial Day weekend! Did you guys miss me Friday? 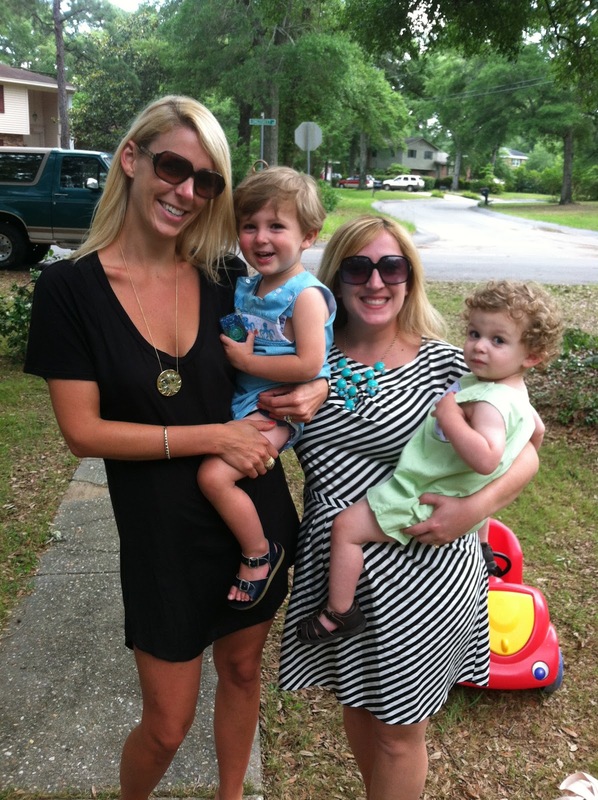 I usually never skip a day blogging but I had friends coming in town and a CPR class that morning so I was crazy busy! We had a great weekend filled with lots of fun. 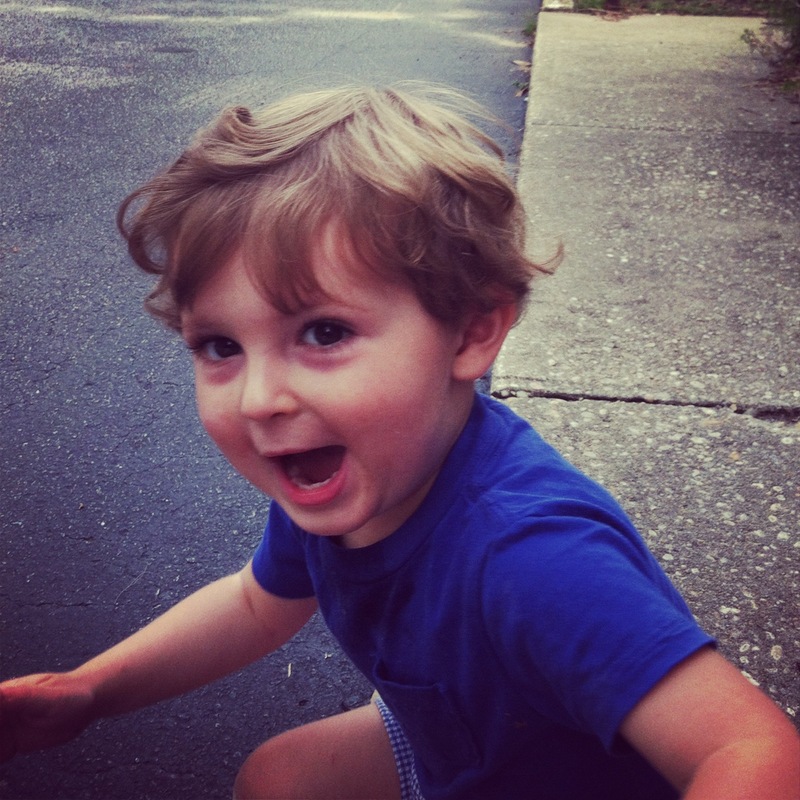 My friend Melissa and her son Colin came in town to visit and we had a blast. We were roommates in college and it is so fun to see our boys together now! We always joke that Sterling and Colin look like they could be brothers. 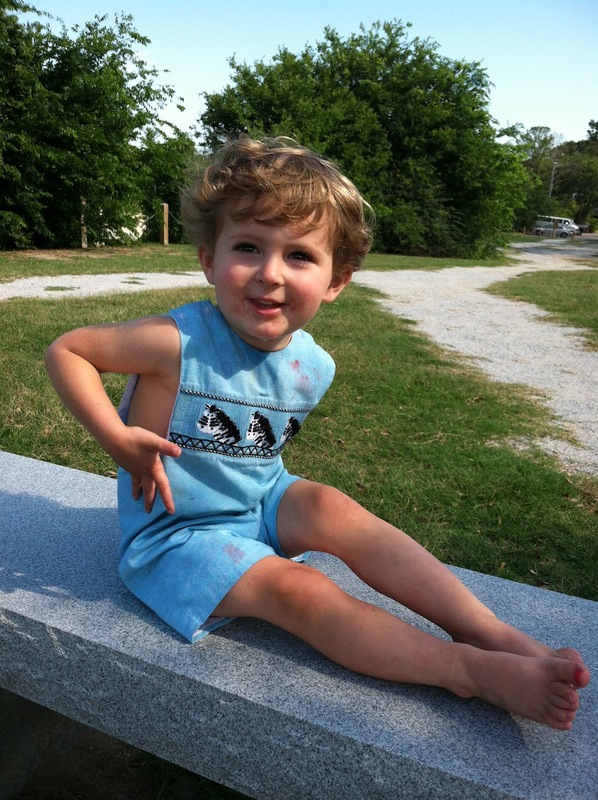 Sterling has decided he no longer needs to wear clothes when he is outside. It is becoming quite comical. 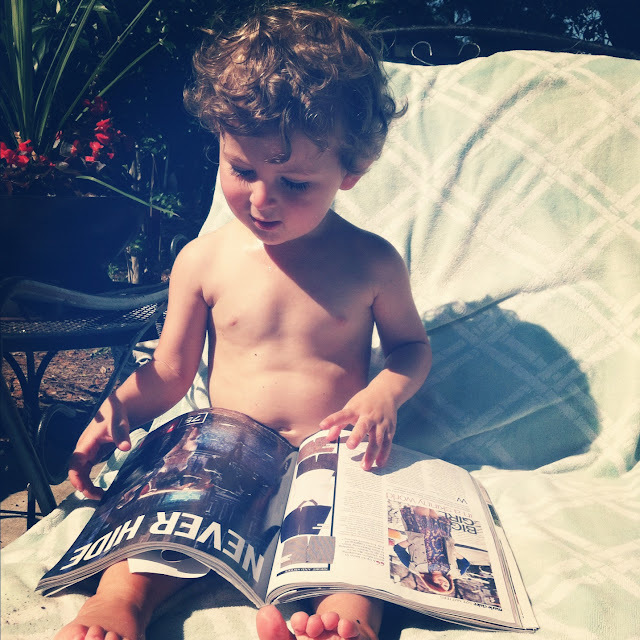 Our friends have started referring to him as "Naked Boy." Thinking it is probably a sign I should start potty training. 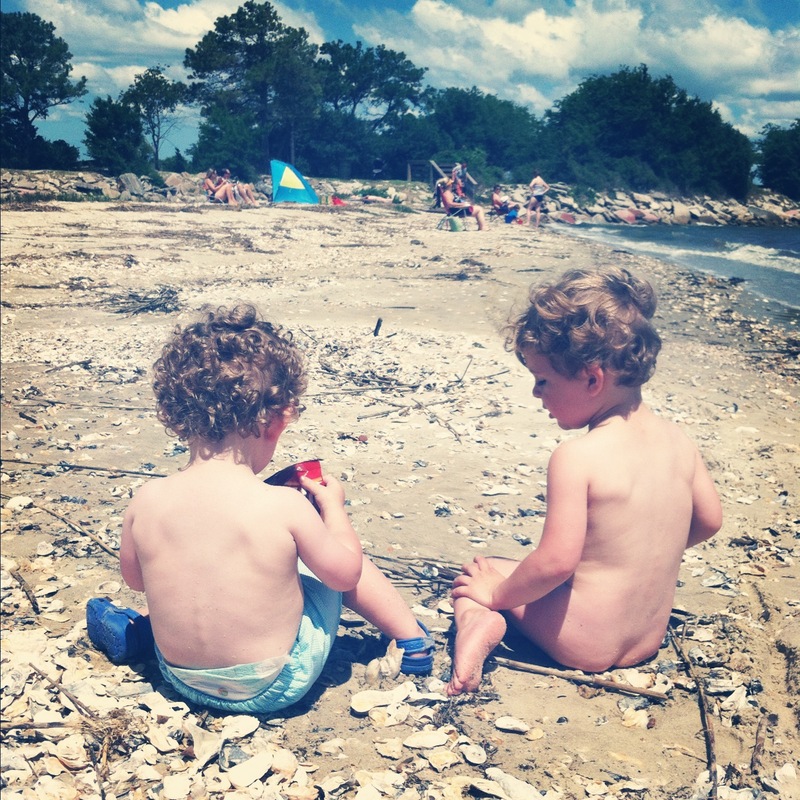 This is him at the beach weekend after stripping off all his clothes. 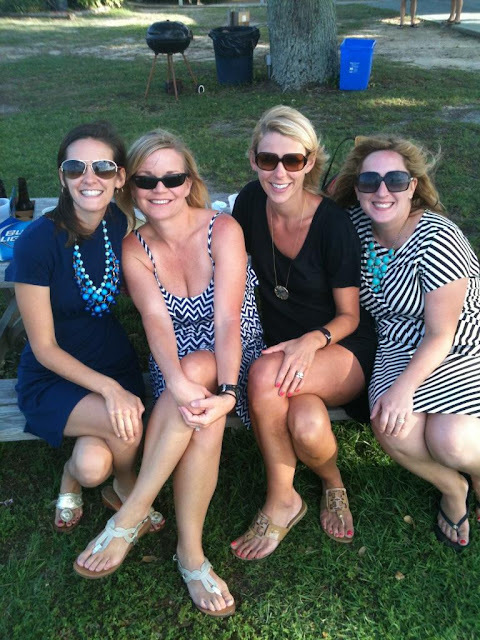 We took all the kids to the Yacht Club Saturday night and I got to catch up with some of my favorite ladies. Cooked up my favorite Tomato Pie for dinner. 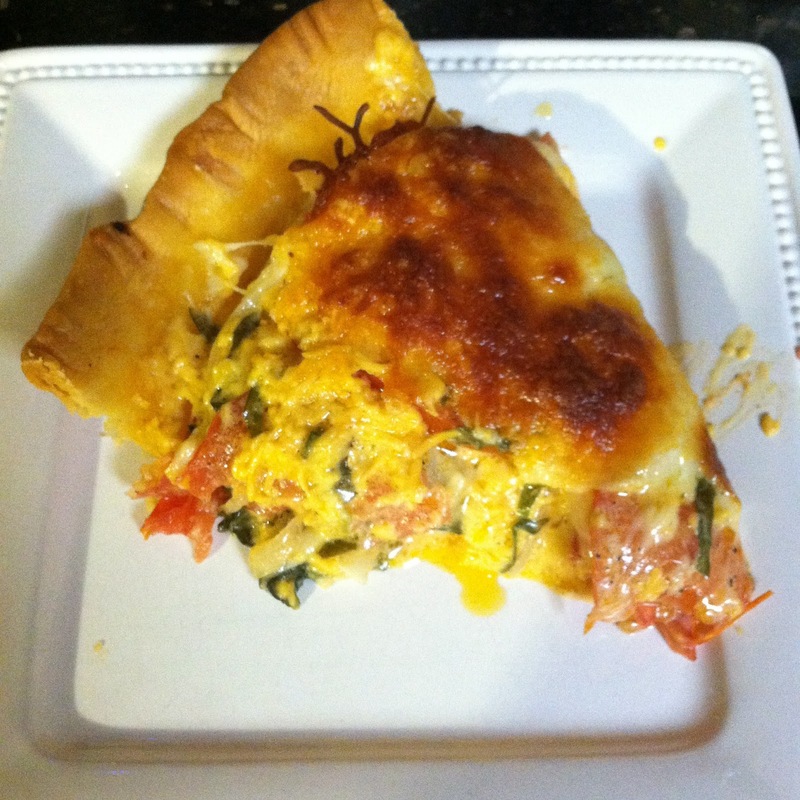 You can find the recipe under my recipes, tab it is amazing! It will not disappoint, one of my favorite meals. 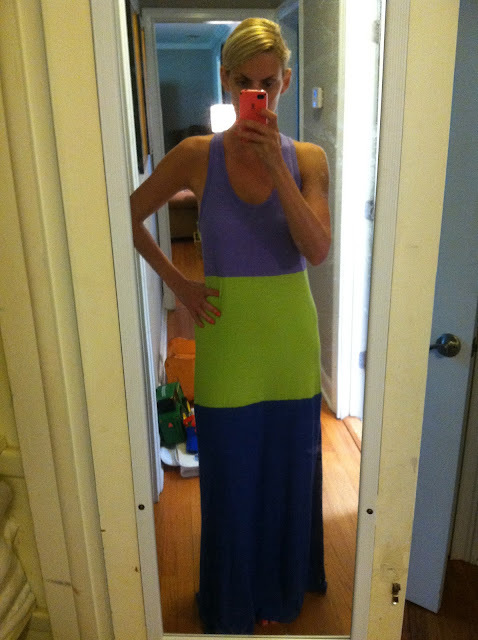 My C&C California Colorblock Maxi dress came in the mail and I love it. 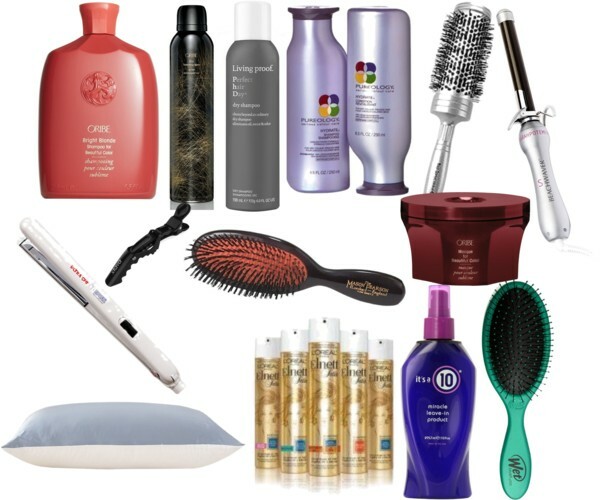 It is so soft and long enough for me which is always a plus! I highly recommend it, you know how much I love a good maxi dress! I hit up JCrew on Monday to do a few returns and stalk the necklace my friend Weezie was wearing this weekend (you can see it in the picture above). It was my lucky day because I got a credit and it was on sale, so this beauty came home with me! It looks even better on! For some weird reason it was not on sale online just in the actual store. 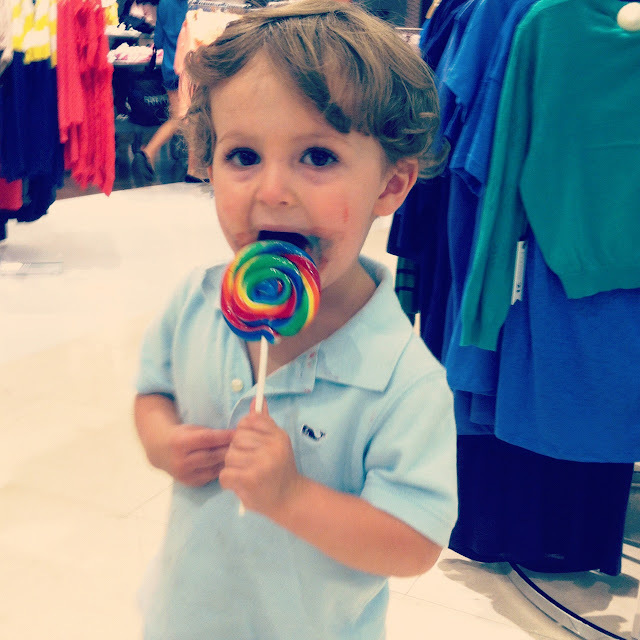 And a big thank you to JCrew for the giant lollipop they gave my little man so I could look around. He was a hot mess afterwards but it kept him happy for awhile! 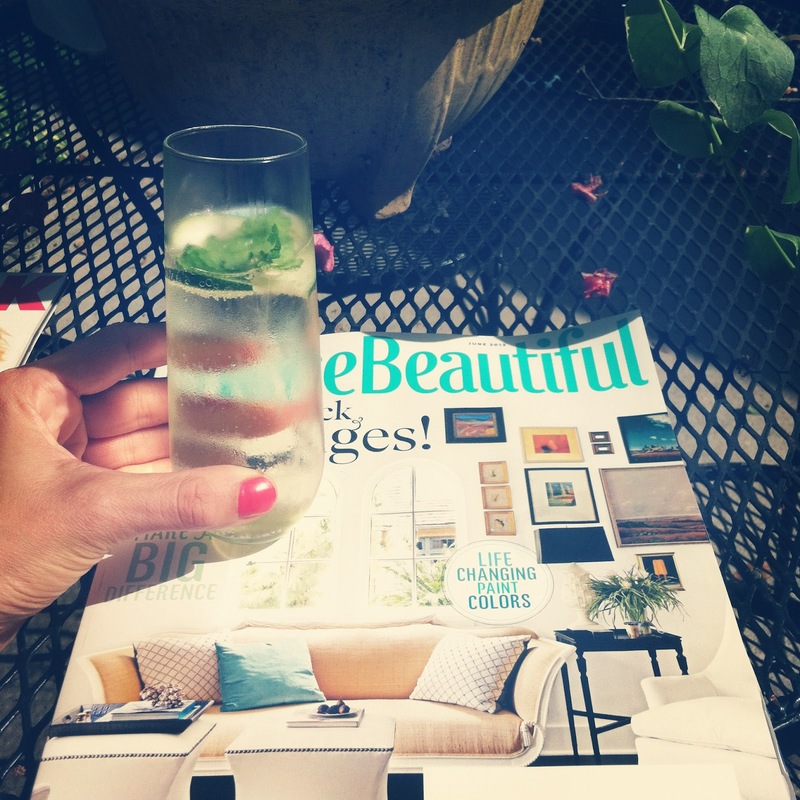 I ended my weekend with some Prosecco and Magazines. If you are not drinking Cupcake Prosecco you should be it. It is delish for the price. I added fresh sliced cucumber and mint in my drink. And the new House Beautiful is good, real good! 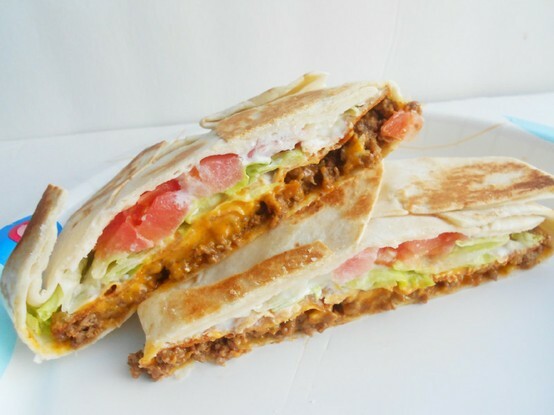 Lastly, while browsing Pinterest last night, I came across this recipe for a homemade CrunchWrap Supreme. Tell me I am not the only one with a strong love for Taco Bell. I don't eat Taco Bell often but I freaking love it. 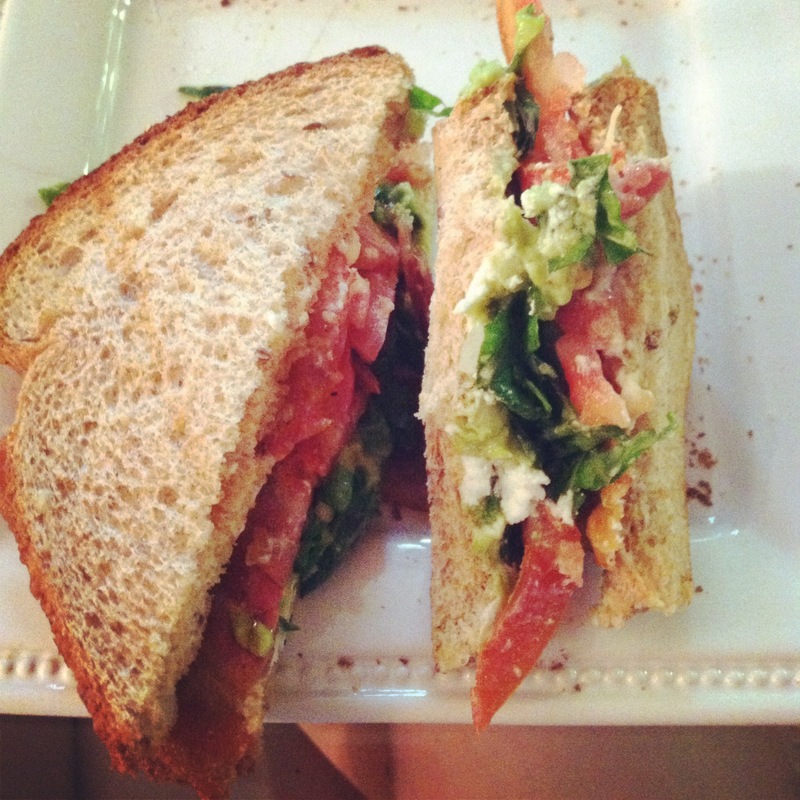 I will so be making these Crunchwraps. Recipe Via. This week has certainly flown by, probably because I am looking forward to Memorial Day weekend! One of my best friends is coming in town to visit and I can't wait to hang out, drink some tasty drinks and let our boys play! 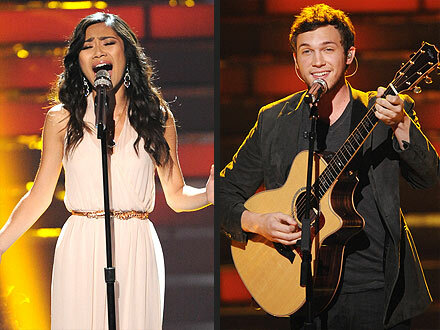 I am so happy Phillip Phillips won American Idol. I didn't watch the whole season but turned in the last few weeks and he knocked my socks off. His last finale song that sounded like Mumford and Sons was amazing. Congrats Phillip! 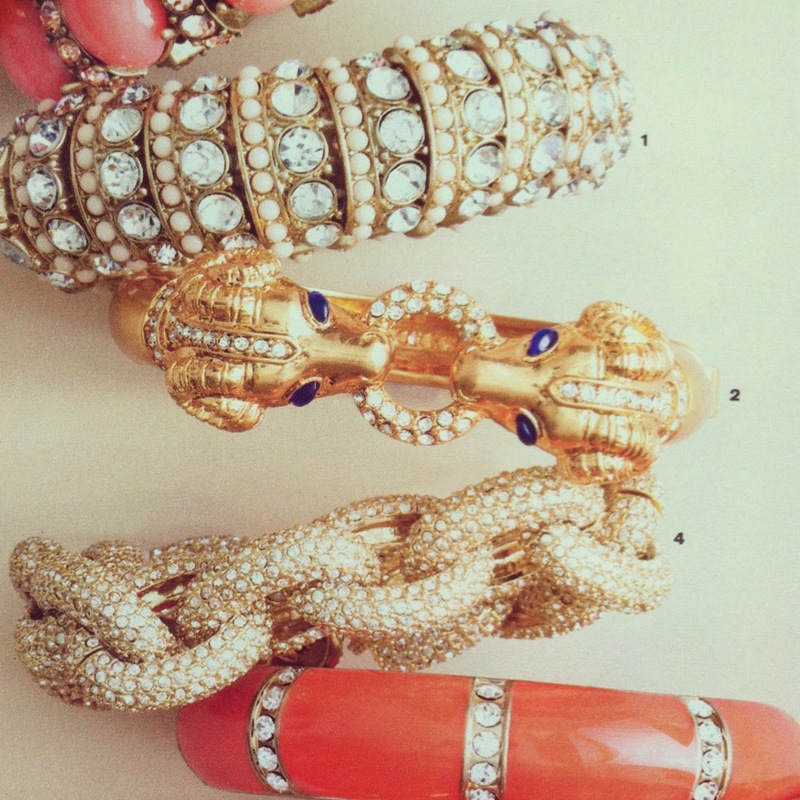 I was browsing through my new JCrew catalog last night and came across these bracelets. I want all three of them. 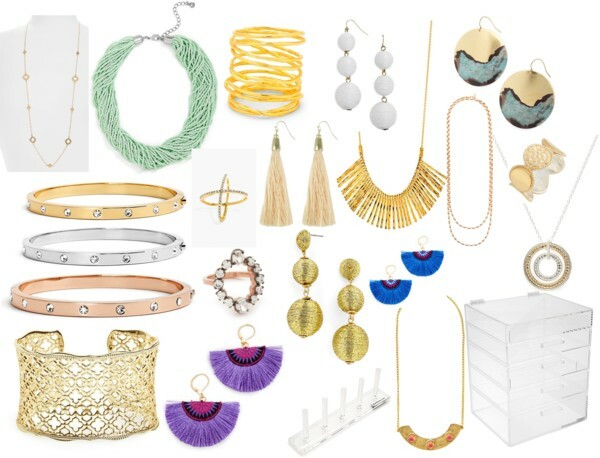 Love the Pave Link one and I especially love the Ram one because I am an Aries and I went to Chapel Hill. I need to be rocking the Ram one. 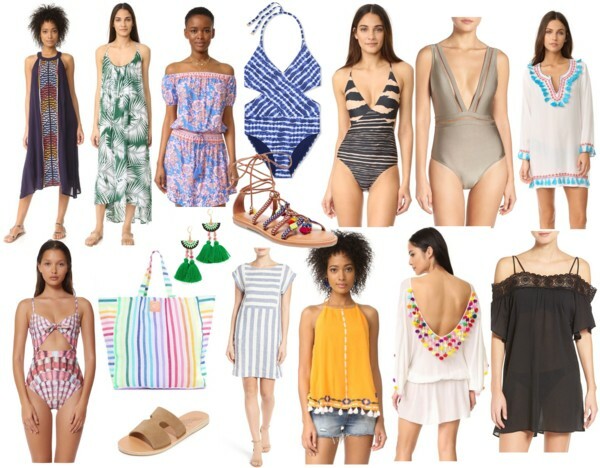 Speaking of JCrew they are having an additional 30 percent off spring sale items right now. 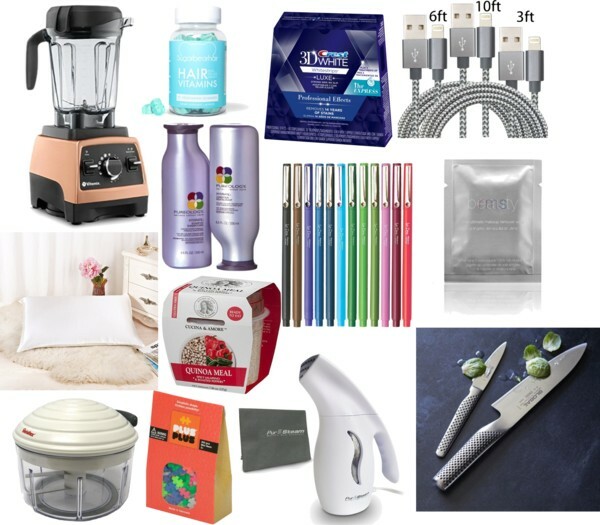 There are some great things on sale and with the extra 30 percent off things come to really good prices. 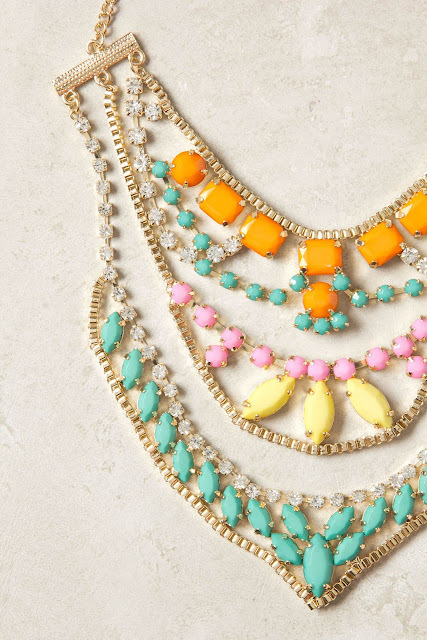 In keeping with my current obsession with necklaces I ordered these two beauties. I have a new snack that rocks my face off. 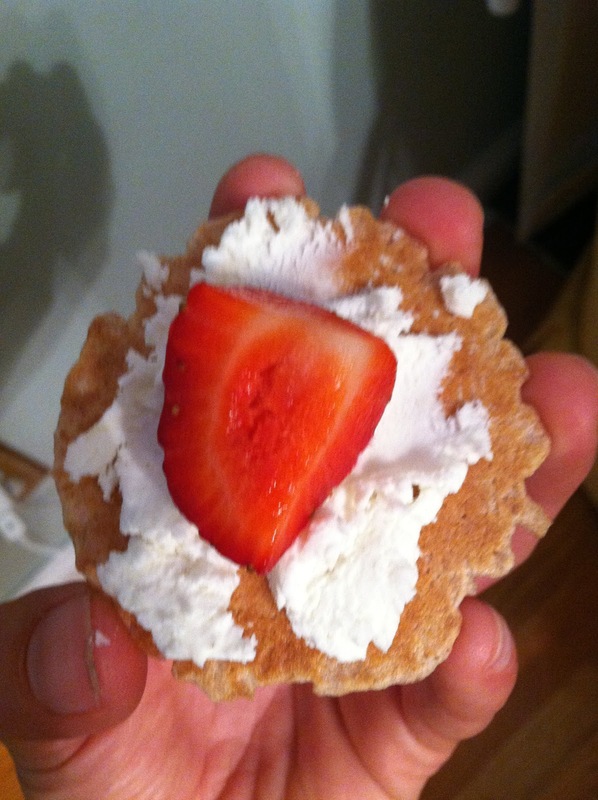 365 Crisp crackers + fresh goat cheese + sliced Strawberries. It is the perfect combo of salty, creamy, crispy, and sweet. Especially made with fresh Farmers Market goat cheese and strawberries. 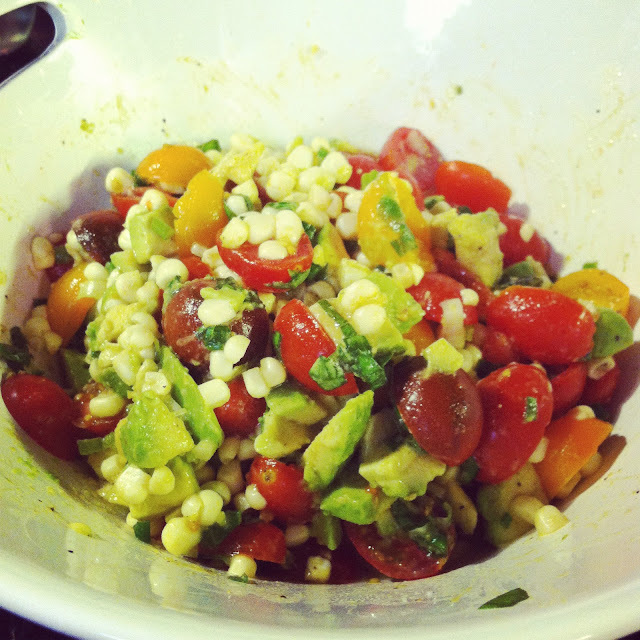 Pairs great with a tall glass of white wine after a long day! And is it wrong I am attracted to Christain Grey a totally fictional character? If you are on the hunt for the perfect maxi dress for the summer please do yourself a favor and order the Velvet by Graham and Spencer Maxi dress. I absolutely love mine. 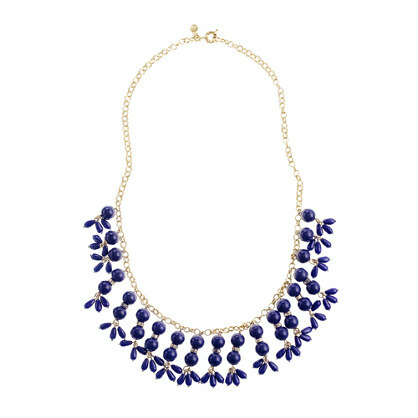 It is casual and comfy, yet can be dressed up with fun jewelry! I have worn mine three times in the last week that is how much I love it! 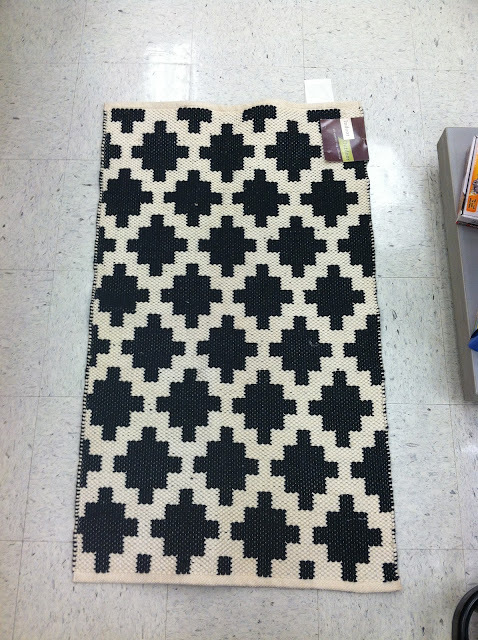 I saw this rug at TJMaxx and I am regretting not buying it. I wanted it for my porch but in the end decided it was too small. But how fabulous is it? I have no words for the Time cover on Breast Feeding a 4 year old. I am shocked and honestly a little repulsed. Breastfeeding is a wonderful thing but that is just plain weird to nurse a child that old. Heck I would feel weird still nursing my two old who has teeth and can talk- gross. Kim vs Gwyneth. Of course Gwyneth wore the dress better. Not even close. I can never have too many shift dresses. Besides maxi dresses they are my favorite style of dresses. I think they are effortlessly chic. Perfect for day or night. I really need this TBags number. 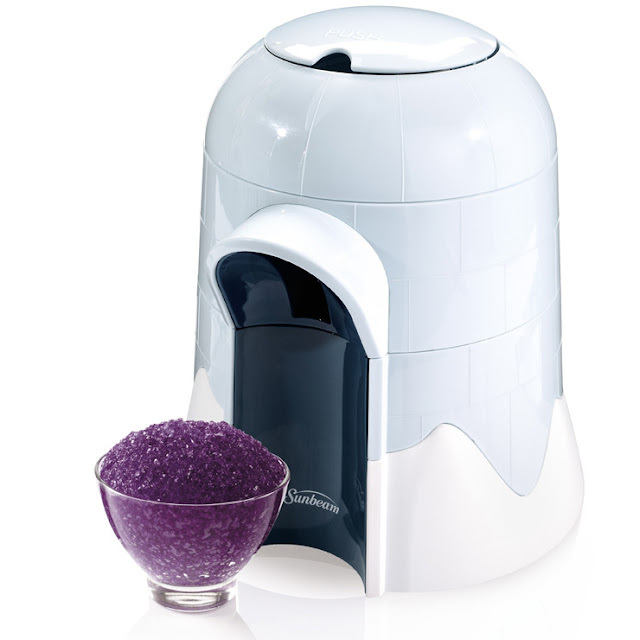 I was reading my Instyle last night and came across a blurb about this shaved ice maker and now I am convinced I need one. It is only $24.99 at Target and the possibilities are endless. I picture making fun fruit shaved ice for Sterling and adult shaved ice for Matt and I. Think about it shaved ice with tequila and lime = genius. 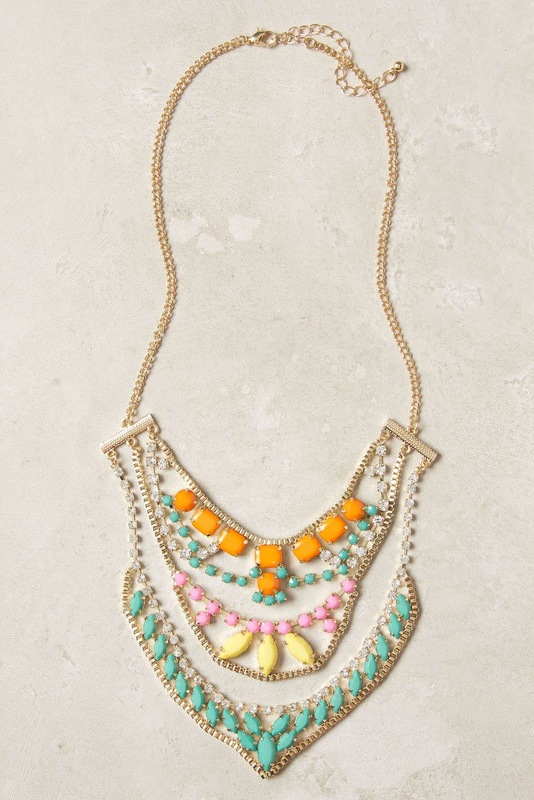 In keeping with my latest addiction to necklaces I have my sights set on this Anthroplogie beauty. It is a steal at $58 and would look great with so many outfits! Love this white blouse. The embroidery is perfect and white blouses go with everything, I would wear this with my colored jeans and jean shorts all the time. Ok, I think I just convinced myself to order it. I am pretty much obsessed with this whole room. I know the hubs would never go for it but I love it. 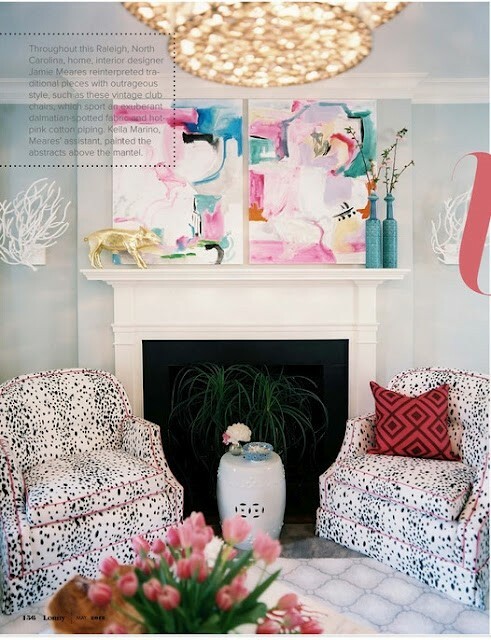 The chair fabric and artwork alone make me swoon. 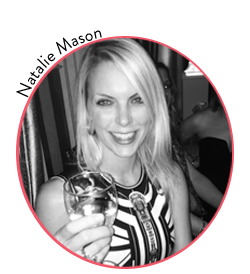 Just realized the fabulous Jamie Meares designed the room and I am not surprised, she rocks. First of all thank you for all the great comments on Friday letting me know that I am not alone in feeling overwhelmed sometimes. I am trying to be at peace with my dirty (filthy) house and just relax a bit and not be so uptight all the time. Friday night we caught this gorgeous sunset that made me feel very blessed and thankful for my life. 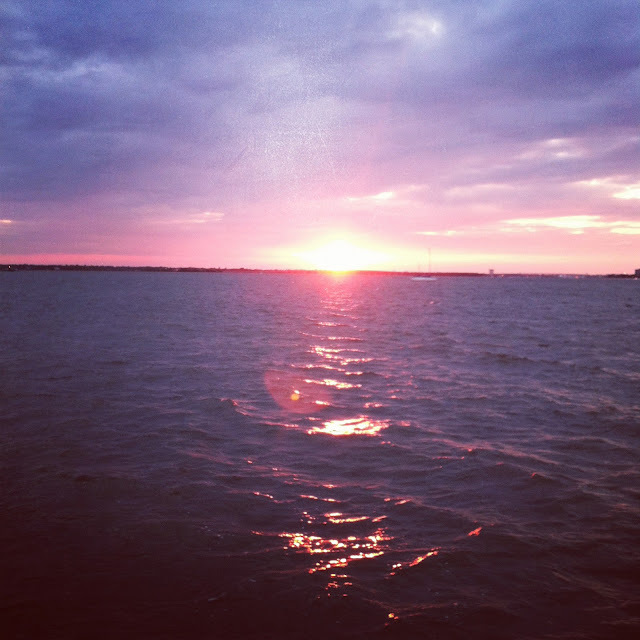 I count my lucky stars everyday we live in Charleston, this place is awesome. It pretty much happened over night but I am addicted to necklaces. I think I might to go to a necklace addicts meeting. I don't feel like my outfit is complete without one. The bigger and brighter the better. Check out my three outfits from this weekend. See a common theme?? 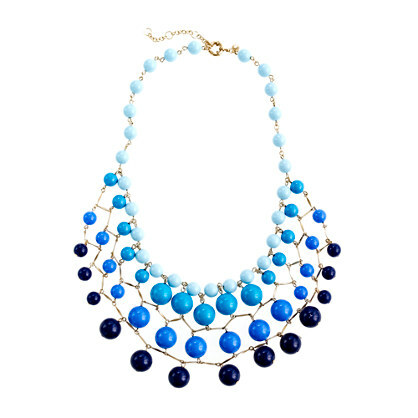 The blue necklace is JCrew- I found it at the JCrew outlet here for all you locals. 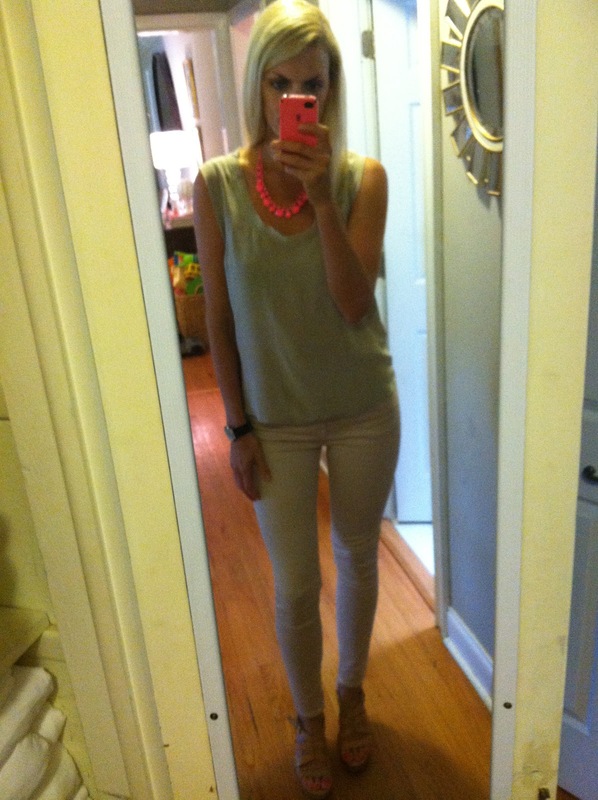 and the pink one is the Bauble Bar necklace I blogged about Friday. 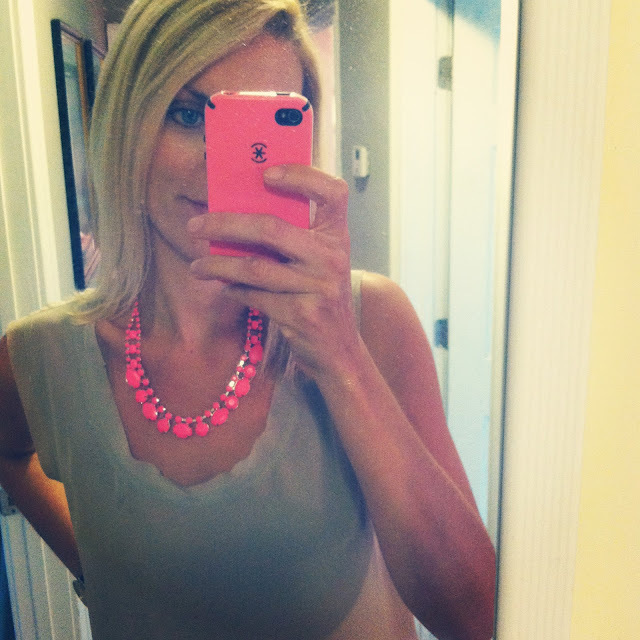 It is my new favorite necklace, I love the hot pink. You can order one HERE. Ok, enough self portraits, right? I finally found a pair of wedges. Yes, I am proud to say I now own a pair of wedges. And the best part is I found them at TJMaxx. Got to love a good bargain. You might notice I am wearing the wedges in everyone of my weekend outfit pictures. I love them, don't know why I waited so long to jump on the wedge wagon! 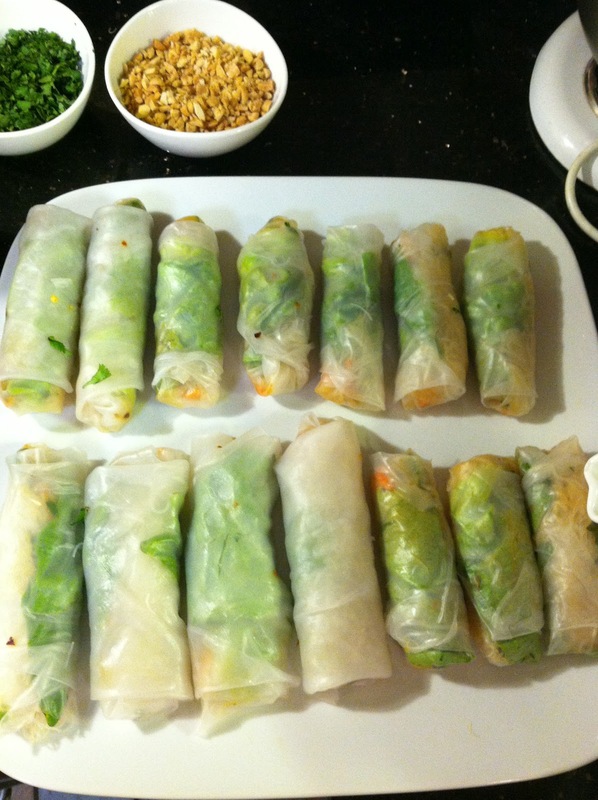 ﻿Saturday night we had friends over for dinner and my friend Alissa made the most delicious Spring Rolls. Look how perfect they are. They looked and tasted just like they came from a restaurant. Before they came over I went to make a martini and look what I found in my Martini glass. 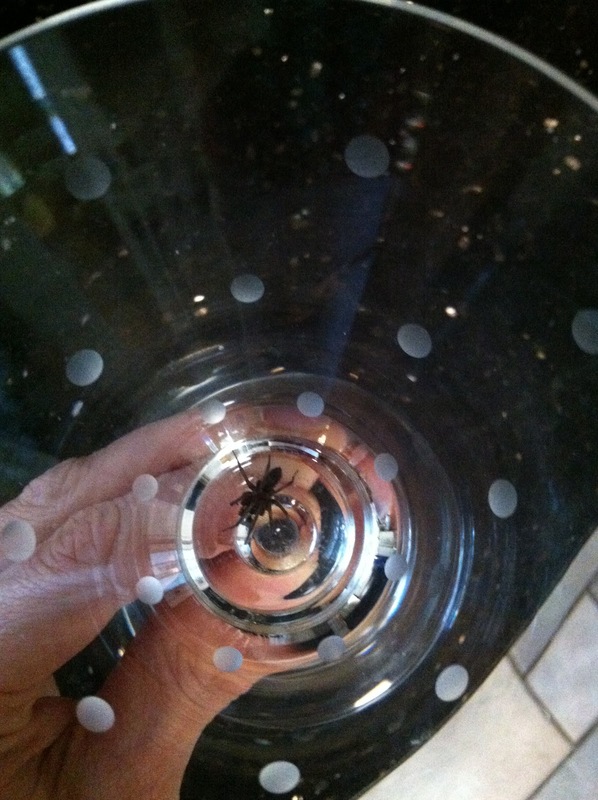 Is a spider in a martini glass like a fly in Chardonnay? Either way it freaked the crap out of me and I screamed like a little girl all while Sterling laughed at his silly Mommy. 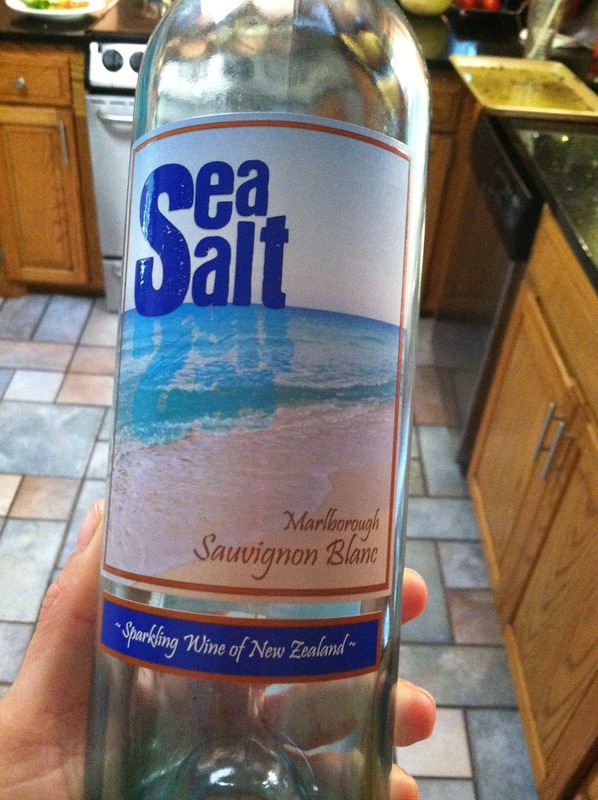 I found a new wine I love, it is a sparkling Sauvignon Blanc. So light and tasty. Retails for about $14.99 a bottle. Buy some you won't regret it- although you might regret it when you drink the whole bottle. It's that good. Oh and this guy has been giving me a real run for my money lately. All boy and hard headed like his daddy. This is him after I told him three times not to run in the street- just testing me.